What are mobile friendly labels introduced by Google? Google is known for constantly improving and updating its algorithms. It seems that this time it is set to launch mobile-friendly labels that appear in the search results when you use your portable device. The majority of webmasters are familiar with the Panda and Penguin updates which have affected millions of websites worldwide. However, this mobile-related update is designed to make online navigation easier, faster and hassle-free for the mobile users. The official launch of mobile label comes after months of detailed testing and improving. This new update created by Google is designed to help web surfers who use their tablets or mobile phones to find what they are looking for in a lot quicker manner. What are the benefits of mobile friendly labels? Smart phone and tablet users often find it hard to land on the mobile optimised web results. Despite the fact that an increasing number of digital marketers and business owners have started to adopt a responsive web design that moulds itself depending on the device used to access the website, these mobile friendly websites only account for less than half of the total number of websites available on the internet. By introducing this particular feature as a part of the Google search result snippets, the giant search engine aims to make life of the mobile users easier. Landing on a non-optimised webpage can be very frustrating and time-consuming, not to mention the low conversion rates of these websites. Thanks to the new label, users can now recognize which pages to click on if they want to navigate smoothly and without any problems, when using their smart phone device or their tablet. Click here and find out more about mobile friendly web design. 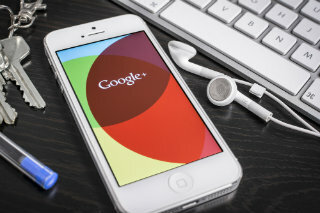 Google has announced that it is also experimenting with a brand new algorithm designed for websites that have been properly optimised for portable device users. This should benefit both the portable device users and the website owners. In order to rank high under this new upcoming algorithm digital marketing managers need to meet several basic requirements. For instance, they must avoid using software that is not usually used on portable devices, such as Flash. In addition, they must optimise the written content in such a manner that the website visitor can read it without having to zoom on it, and it is also important to size the content to the screen, so that portable device users do not have to waste their time trying to zoom or to scroll horizontally. If you have a website, but it doesn’t meet the most recent Google requirements you can redesign it using Kommand.me platform. If you are considering getting a new website Kommand.me allows you to create mobile optimized and professional websites at the affordable prices. You can choose the most suitable web development package, pick your website’s theme and start building. The best bit about it is that you don’t need any programing knowledge and you are not tided into any contract. Be a designer of your own website.